I have sold a property at 208 215 33RD AVE E in Vancouver. OUTDOOR OASIS! Super cute 2 bedroom, 2 bathroom corner unit in popular Main Street boutique building at blossoming 33rd Ave. Situated on the quiet NE corner, this lovely suite has a fresh open plan that leads to a massive, sun drenched, wrap around patio overlooking the neighborhood! Enter summer parties. The open kitchen, dining room & living room are complimented by contemporary light flooring & 9 ft ceilings. The modern kitchen hosts quartz countertops, s/s appliances & a sweet little wine rack. Efficient floorplan also benefits from in suite storage & common bike locker. Superb location in worry-free building walking distance to vibrant amenities on Main St, Queen E Park, Nat Bailey Stadium & more. 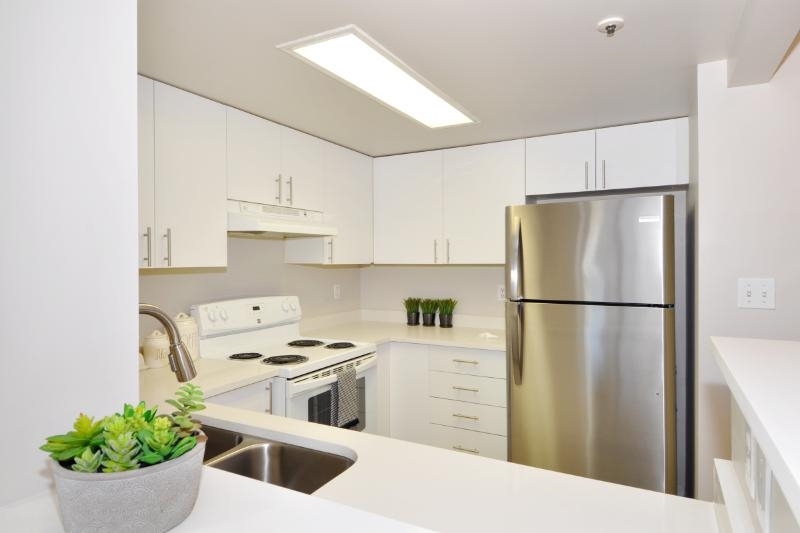 Minutes to Downtown & easy access to UBC or East Van. Pets & rental friendly. COOL!